The Hanoi Stock Exchange (HNX) has announced that the Electricity of Vietnam (EVN) Group will auction 15 percent of its stake, equivalent to 37.5 million shares, in the EVN Finance Joint Stock Company. The shares will be sold at starting price of 14,133 VND (61 US cents). EVN can earn a minimum of 530 billion VND through the auction. EVN Finance currently has chartered capital of 2.5 trillion VND and owns the maximum capital among operating financial firms. The time to register and receive deposits is from now until August 11, 2017, and time for submitting the auction participation slip is until August 16, 2017. The public auction will take place on August 18, 2017. 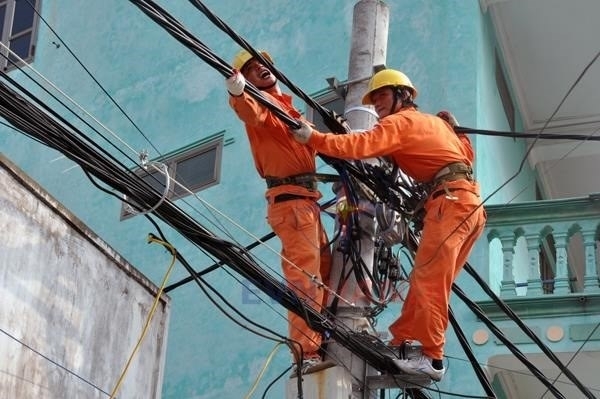 Under the master plan on restructuring enterprises under EVN in the 2017-20 period, EVN will have to divest its capital in enterprises, including EVN Finance Joint Stock Company, Thu Duc Electro Mechanical Joint Stock Company, Dong Anh Electrical Equipment Corporation-Joint Stock Company and Thuan Binh Wind Power Joint Stock Company, as well as Power Engineering Consulting Joint Stock Company 3 and Power Engineering Consulting Joint Stock Company 4. According to the financial report of EVN Finance, in the first quarter of 2017, the total assets of the company were over 19 trillion VND but total debt was more than 16 trillion VND, accounting for 80 percent. This result is a negative sign of the company’s financial imbalance. Currently, EVN Finance’s chartered capital is divided among EVN with 15 percent, An Binh Commercial Joint Stock Bank 8.4 percent, Mechanics Electrical Refrigeration Joint Stock Company 1.8 percent and the remaining 74.8 percent belonging to other shareholders. In 2016, EVN planned to divest 15 percent of capital in EVN Finance but the plan failed.